Adam de la Halle occupies a unique position astride two trends in music history. On the one hand, he was the "last of the Trouvères," bringing to a close the brilliant early flowering of Old French lyric poetry; the large body of his facile and conventional courtly chansons stand perfectly in line with the traditions fostered by Eleanor of Aquitane; Thibault de Champagne, King of Navarre; and the eloquent Gace Brulé. 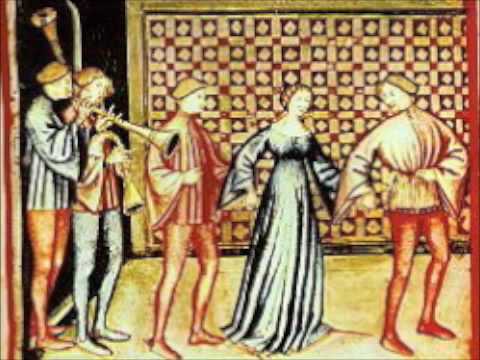 On the other hand, Adam mingled this traditional monophonic composition with the more esoteric form of the thirteenth century motet, and performed the first experiments in polyphonic secular song. In this respect, he placed himself squarely in the middle of stylistic trends that would come to greatest fruition in the next century, with the Ars Nova of Philippe de Vitry and preeminently in the figure of Guillaume de Machaut. Sadly, for a poet and musician of such versatility and prowess, not a single piece of datable documentation for his life survives. The form of his name (and later manuscript attributions) tell of his birth in the city of Arras -- a positive hotbed of literary culture -- 80 miles north of Paris. (Another form of his name, "le Boscu," suggests a handicap or even a hunchback, but Adam in a late poem denies this disability!) His father Henri was well educated, and probably a cleric and civic employee who died in 1290; Adam's wife, named Maroie, may have died in Arras in 1287. Adam himself is often described as "Maistre," indicating his completion of some advanced studies; these took place either at Vauchelles Abbey, or more likely, in Paris. Adam also certainly participated in the lively activities of Arras' literary societies, the Confrérie des jongleurs (Guild of Artesian Jongleurs) and the renowned Puy d'Arras. This latter association chose a king who would judge poetic competitions among the members; God Himself was rumored to attend the festivities to hear their poetry. 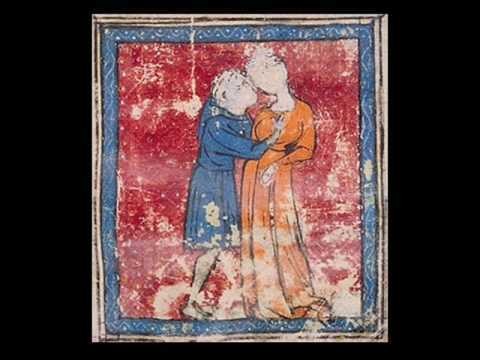 In 1282, Adam apparently traveled as poet and musician in the retinue of Robert II, Count of Artois, on a campaign to Naples to aid his uncle Charles d'Anjou after the massacre of the Sicilian Vespers. Adam died in Italy, sometime between 1285 (the death of Charles and the occasion for his poem Le roi de Secile) and 1289. As noted above, Adam de la Halle produced a remarkably versatile body of works. And unlike the majority of the Trouvère poets, whose songs survive in large anthologies, several manuscripts attempt to collect music only of his; one manuscript in Paris even presages Machaut by sorting Adam's "collected works" by genre. He composed 36 chansons in the Trouvère tradition -- a comparatively prolific number. Seventeen jeux-partis (stanzaic dialogues between two poets) contain his wittily phrased (if conventional) contributions on the subject of courtly love. His longer works include an epic Chanson de geste about the King of Sicily, a satiric drama (Le jeu de la Feuillée), and a pastoral drama with music -- Le jeu de Robin et de Marion -- which is often dubbed the "first comic opera." In addition, he completed at least five essays in the genre of the polytextual French motet, and a set of 16 dance-based refrain songs of various forms called Rondeaux. This last set, called Le Rondel Adam in a manuscript copy of his works, contains probably the first polyphonic settings of vernacular song in Europe.